Deutsche Bank (DB) dropped 13% this week to a 15-month low. DB is now down 28% y-t-d. European banks (STOXX) sank 5.0% this week. Hong Kong (Hang Seng) Financials were down 4.9%. Japan's TOPIX Bank index fell 3.3%. In the U.S., banks (BKX) were slammed 8.0%, the "worst loss in two years." The Broker/Dealers (XLF) fell 7.3%. It was also an active week in Washington. 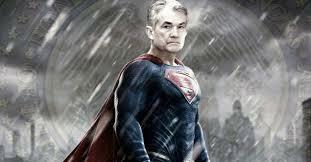 The Powell Federal Reserve raised short-term interest rates, and the new Chairman completed his first news conference. President Trump announced trade sanctions against China. There was more shuffling within the administration, including John Bolton replacing National Security Advisor H.R. McMaster. Let's start with the FOMC meeting. Analysts - along with the markets - were somewhat split between "hawkish" and "dovish." As expected, the Fed boosted short rates 25 bps. On the dovish side, the Fed's "dot plot" showed a median expectation of three rate increases in 2018 versus pre-meeting average market expectations of 3.5 - and fears of four hikes. The Fed upgraded its view of GDP prospects and lowered its forecast of the expected unemployment rate. Steady as she blows for normalization - markets not so much. Chairman Powell did nothing overtly to rattle the markets. The message, at least for the near-term, was continuity. He was clear and concise. There were, however, important subtleties. A couple of headlines worth noting: From the Financial Times: "Jay Powell Plays it Safe in Federal Reserve Debut." From Bloomberg, "Powell Disses Dots Again as He Stresses Limit of Fed's Knowledge" and "Powell Debuts as Show-Me Fed Chair in Shift From Theory, Models." I've been impressed with our new Fed Chairman. For the first time in (at least) a couple decades, I can listen intently to the head of the Federal Reserve (testimony and press conferences) without that recurring urge to roll my eyes. I feel respectful. Alan Greenspan was the master of obfuscation. His conversations seemed guided by some game theory, and I was too often left pondering what went unsaid - and why. Greenspan's ego, free-market ideology and personal ambitions over time fostered an overly-powerful cult status. Ben Bernanke had his own issues. Dr. Bernanke's formidable biases revolved around his academic research and unconventional theories. His limited experience with the markets only heightened the insecurities facing anyone replacing "The Maestro." The Wall Street Journal's Jon Hilzenrath once referred to Bernanke as a "gun slinger." This monetary cowboy was incapable of unbiased analysis and decision-making. As his inflationary experiment mutated beyond short-term crisis management measures, Bernanke increasingly dug in his heels. In the throes of untested monetary doctrine, he turned defensive and "100% certain" of too many things. For traders, it's seeing a losing short-term trade morph into a long-term "investment." With everything invested in his runaway global experiment, Dr. Bernanke lost touch with reality - not to mention monetary conventions. He turned hostage to the financial markets, somehow promising that he would not tolerate any tightening of financial conditions - let alone a bear market, recession or crisis. What unfolded was a complete breakdown of responsible central banking. Chair Yellen followed too comfortably in Dr. Bernanke's footsteps. The unassuming market darling that wouldn't dare do anything that might rock the boat; another seasoned academic with a theoretical framework that essentially posed no risk to raging market Bubbles. Gratified that unemployment was declining as core consumer inflation stayed below target, she discerned nothing problematic unfolding in the markets or economy that might risk future crisis. In the final analysis, it was a four-year term notable for a complete failure to tighten financial conditions when the backdrop beckoned for significant tightening measures. No "gun slinger", but a competent and pleasant enabler of vicious "Terminal Phase" Bubble excess. This history rehash is to emphasize the stark contrast between Chairman Powell and his predecessors. He's from a completely different mold. For the first time in decades, the Fed Chairman is not beholden to ideology, academic theory nor activist monetary doctrine. This allows straightforward answers to questions. No obfuscation necessary - no extoling nor canonizing. Academic dogma need not eclipse studious observation and common sense. Powell respects the institution. And I believe his leadership will promote a soberer perspective, clearer analysis and sounder policy from our central bank. While pundits underscore "continuity," the markets must contemplate what this means for the Greenspan/Bernanke/Yellen "market put". Of course, the Powell Fed's support will be there in the event of crisis. But the timing: how much time - and market value - will pass before central banks come to the rescue? Does Powell appreciate how previous Fed policies nurtured dangerous securities market excess? Would the Chairman prefer to return to more traditional central bank management - hesitant to resort to QE, rate cuts and other tools of market intervention? Would he rather let markets deal with volatility without members of the Fed jumping to render vocal support? I believe Chairman Powell understands the dangerous role the "Fed put" has played over the years. His bias would be to wean the markets off central bank liquidity, excessively low interest rates and aggressive "activist" market intervention. Markets would be healthier standing on their own - to reacquaint themselves with risk and prudence. 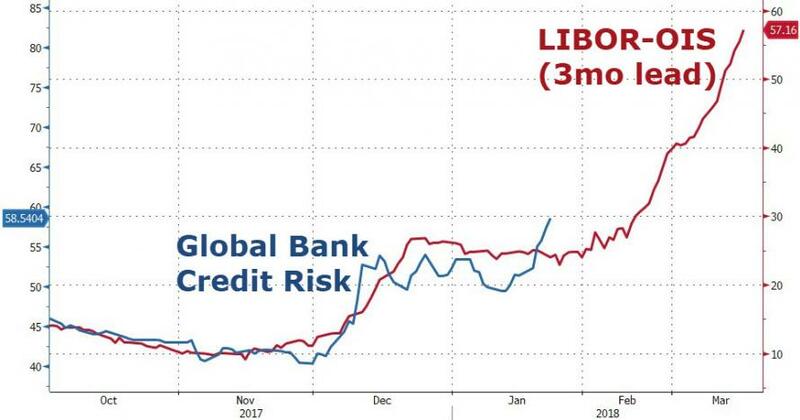 The Libor/OIS interbank Credit spread widened further this week, indicative of tightening liquidity conditions. It's my view that risk premiums are now generally rising partially on concerns for the Fed and global central bank liquidity backstops. 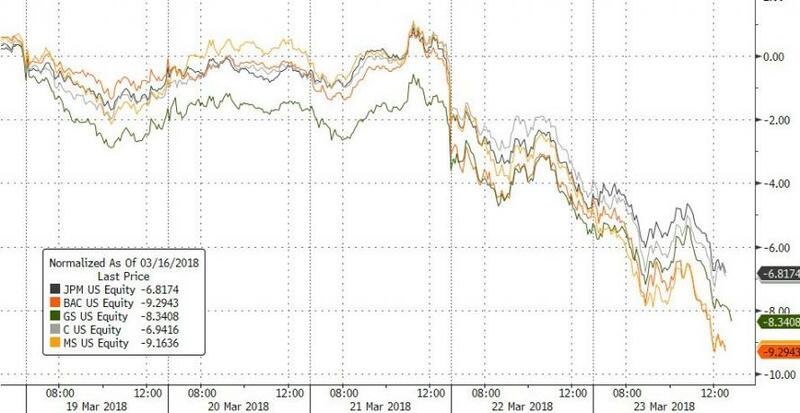 For years, the implied central bank market backstop worked to depress the cost of all varieties of market "insurance" - from the VIX in U.S. equities, to hedging costs in global equities, corporate Credit, sovereign debt and, last but certainly not least, the currencies. The scope of Bubbles has inflated tremendously, while confidence in the future efficacy of central bank support measures has just begun to wane. The cost of market protection is now rising rapidly, with profound ramifications for myriad interrelated global Bubbles. The rising cost of hedging, widening Credit spreads, waning demand for corporate Credit and abating general market liquidity now pose a major challenge for vulnerable global markets. No longer will it be so easy to dismiss risk. And with various risks now coming into clearer view on a daily basis, markets must confront the harsh reality of significantly higher hedging costs across the spectrum of risk markets. The Washington spectacle has finally become a major market issue. Tariffs and trade wars do matter, at this point more from a financial standpoint than economic. Members of the Trump cabinet matter. The composition of Trump's foreign policy team matters. The nature and strategies of his advisors and attorneys matter. The mid-terms will matter, perhaps profoundly. It is said that the President is becoming more comfortable in the job - and ready to call the shots. Markets are increasingly uncomfortable. With fragilities surfacing, global markets have turned increasingly vulnerable. The threat of foreign selling of U.S. Treasuries, corporate debt, equities and dollar balances is now real and consequential - just as liquidity becomes a festering issue. The stock market is sliding - prices along with its standing on the President's priority list. Derivatives lurk at the epicenter of global financial crisis risk. It's right here where global central bank policies have fomented the greatest distortions and associated fragilities: The perception - the implied guarantees - of liquid and continuous markets. And when DB's stock is sinking (down 13%) and its CDS is blowing out (33bps this week! ), then the issue of counterparty risk and derivative market dislocation begins to creep into market psychology (and positioning). Greed to Fear. "Risk On" shifting to "Risk Off." This week had the feel of de-risking/de-leveraging dynamics gathering important momentum. This was no VIX (24.87 close) accident. It was a general widening of Credit spreads, waning liquidity and overall market instability. Dollar weakness reemerged this week, which sparked a nice safe haven bid in gold and the precious metals. Crude surged. Curiously, it also awakened a bit of safe haven buying for Treasuries (pushing corporate Credit spreads wider). I couldn't help but to ponder the possibility that the rising cost of hedging dollar risk is a game changer for U.S. corporate debt. There's a huge amount of leverage there, along with big foreign ownership. It's certainly not a strong position for instigating tariffs and risking trade wars. It's instead a backdrop increasingly susceptible to panic selling, liquidity shocks and derivative issues.